Built in 1930, this delightful bungalow is just waiting for its new owner. 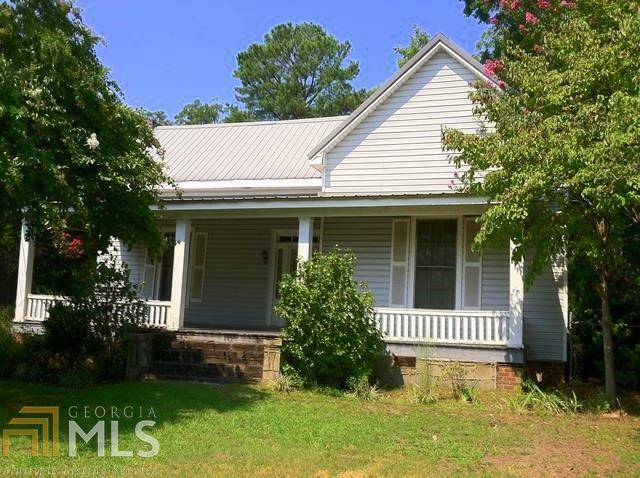 It has the old-time charm with its deep front porch, wide hallway and substantial millwork, but incorporates modern aspects (metal roof, central hvac, storm windows & doors) to keep the household budget in check. The former owner was an avid gardener (flowers), so Spring&apos;s new growth is a constant surprise. The children will enjoy the backyard and the adults can enjoy a cold glass of sweet tea while watching over them from the back screened porch. Come take a look! Directions: From The Intersection Of Hwy 17/72 & Hwy 77 In Elberton, Turn Onto Hwy 77n. Travel A Few Blocks... Property On Left, Sign In Yard.